"Kenneth G. Pigott, Lyric Opera of Chicago's president and CEO, died Friday afternoon, according to a statement from Lyric opera. A cause of death and other details were not immediately available. Pigott was a member of the Lyric Opera's board of directors for 13 years before becoming president and CEO in 2011, according to the statement. 'We are shocked and deeply saddened to learn and to share the news of the death of Ken Pigott, president and CEO of Lyric Opera. In the few hours since his passing, we have only begun to grasp the depth and breadth of this unimaginable loss,' Anthony Freud, Lyric Opera's general director, said in the statement. 'Ken was a truly unique man. He was a visionary whose wisdom and passion transformed the lives of everyone at Lyric, and at the many organizations with which he was associated. He is irreplaceable.' The statement said Pigott was 'instrumental' in discussions leading to Renee Fleming's appointment as the company's creative consultant in 2010 and led the search for the company's general director in 2011." 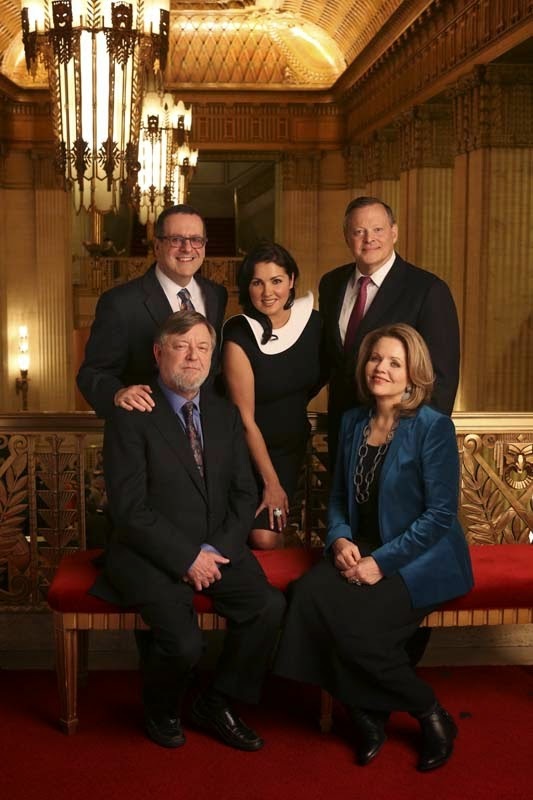 [Source] Watch a recent video of the Lyric Opera of Chicago that gives an insider view of the tight community, and Renée Fleming invites you to the new season, after the jump.